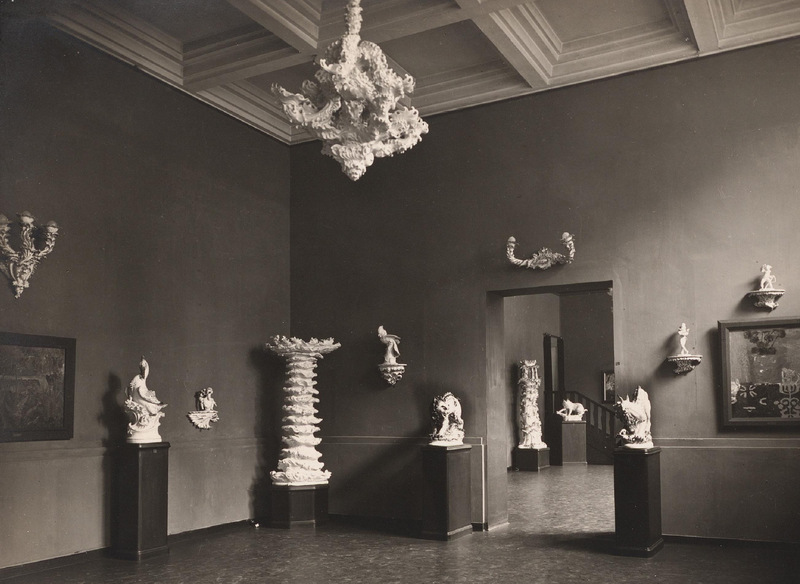 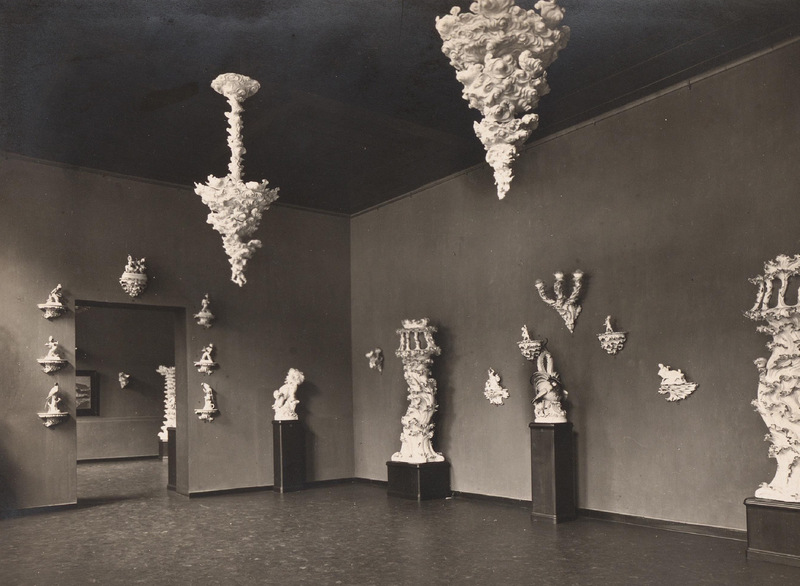 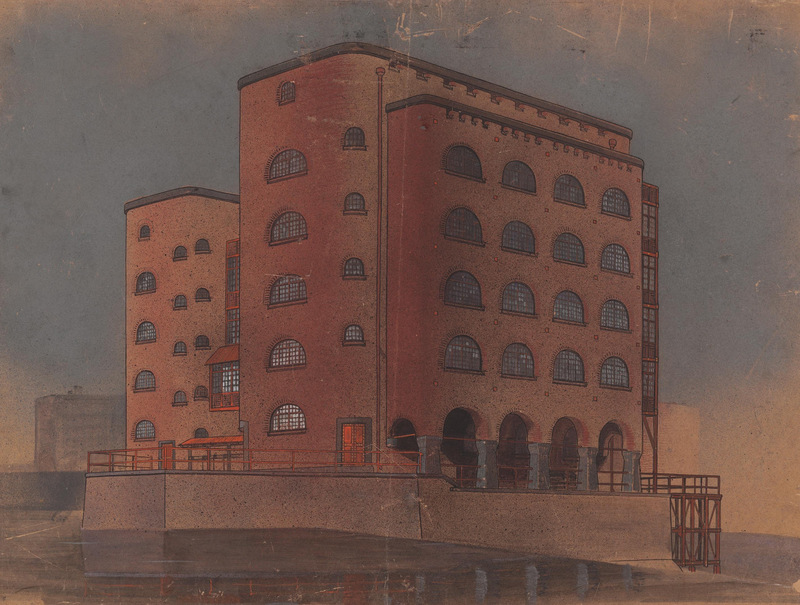 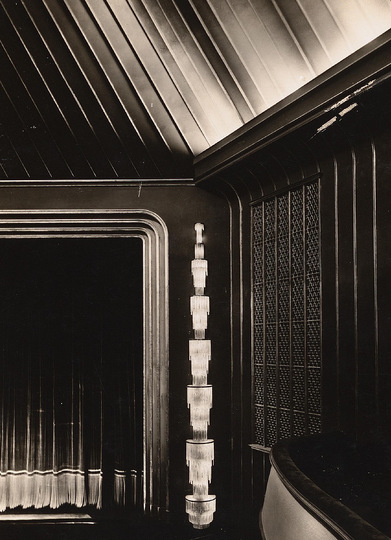 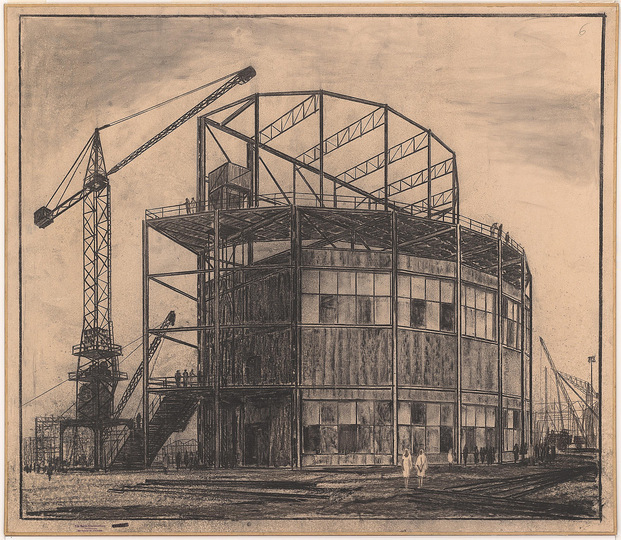 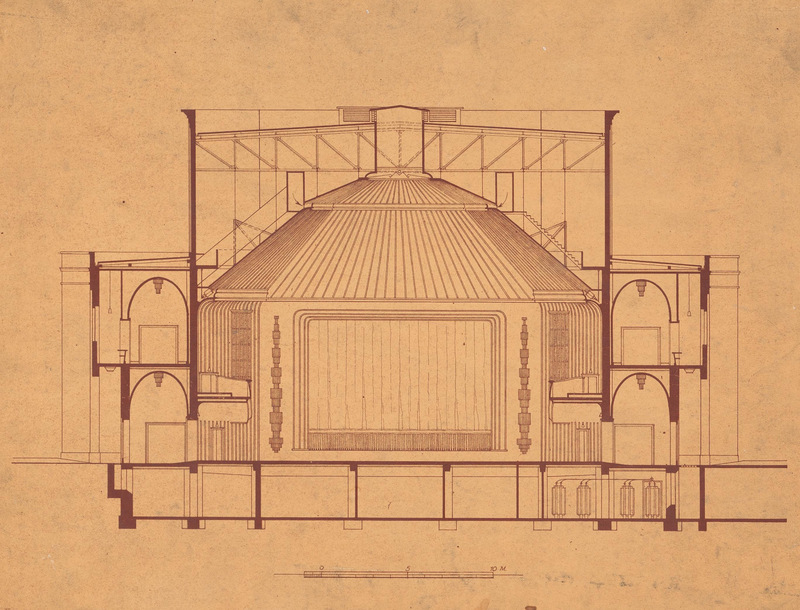 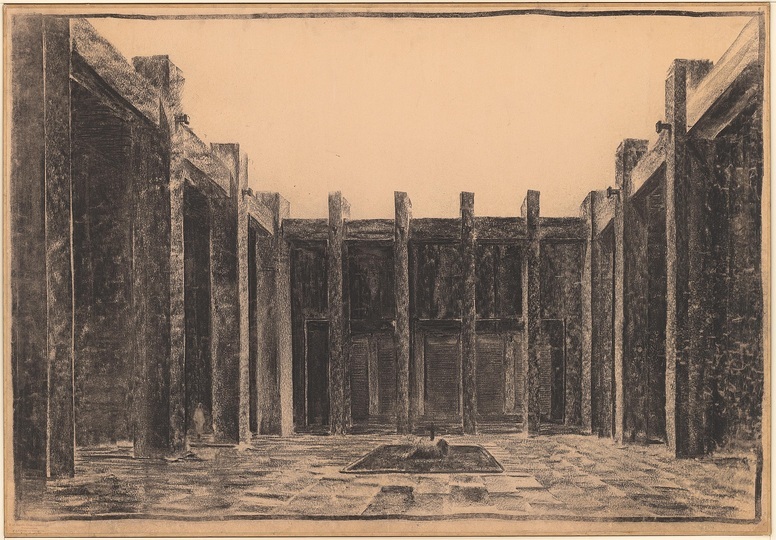 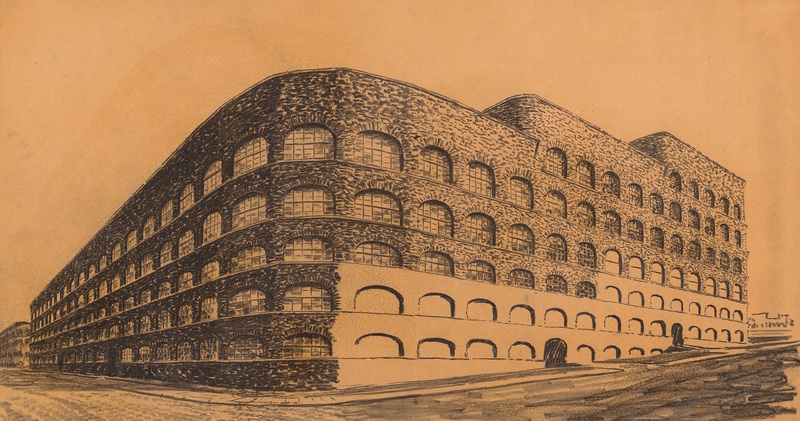 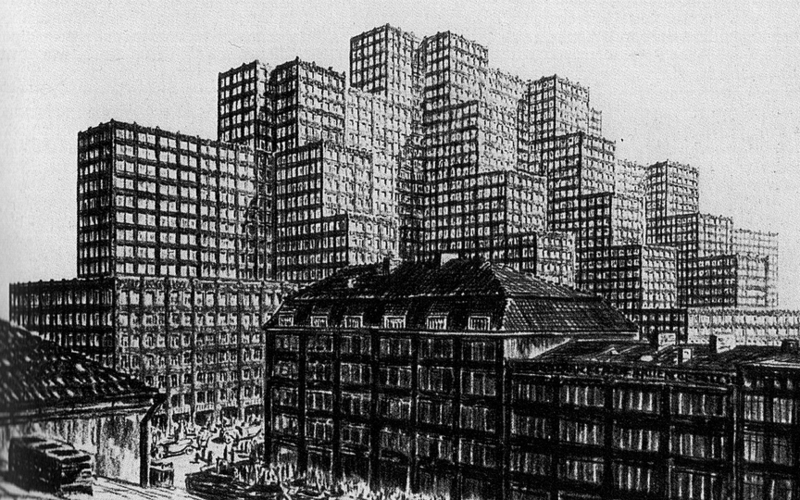 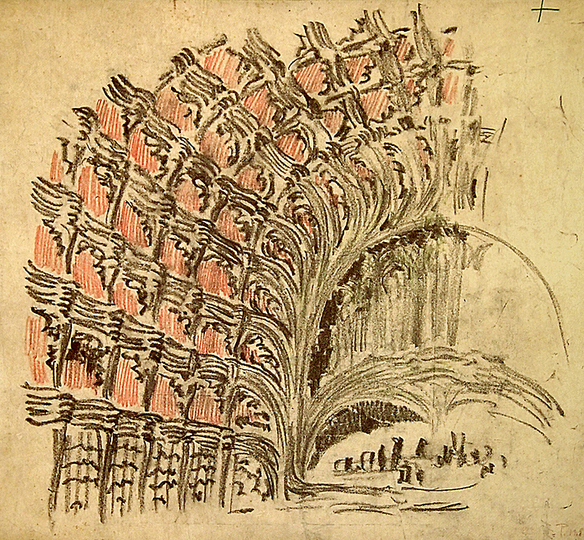 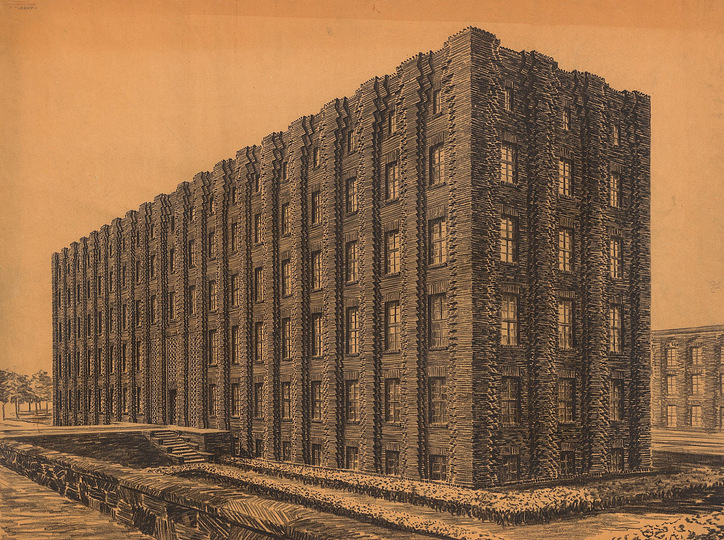 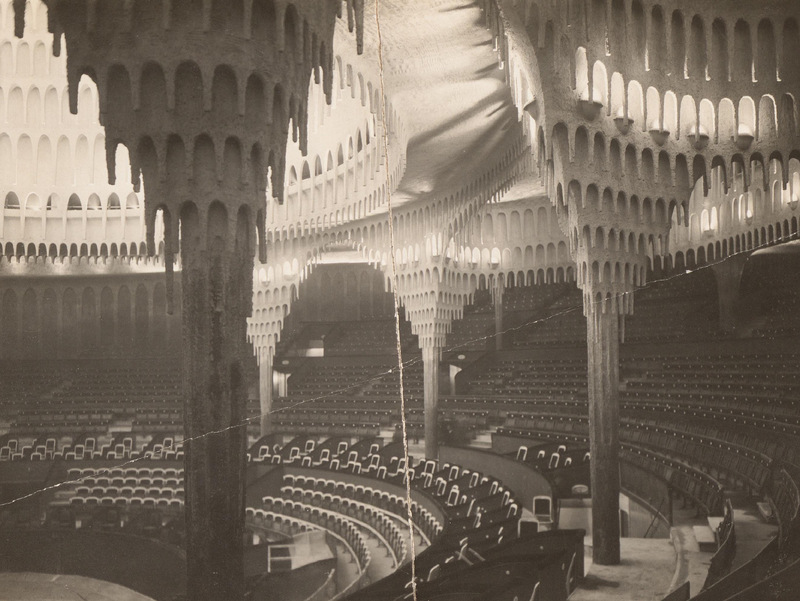 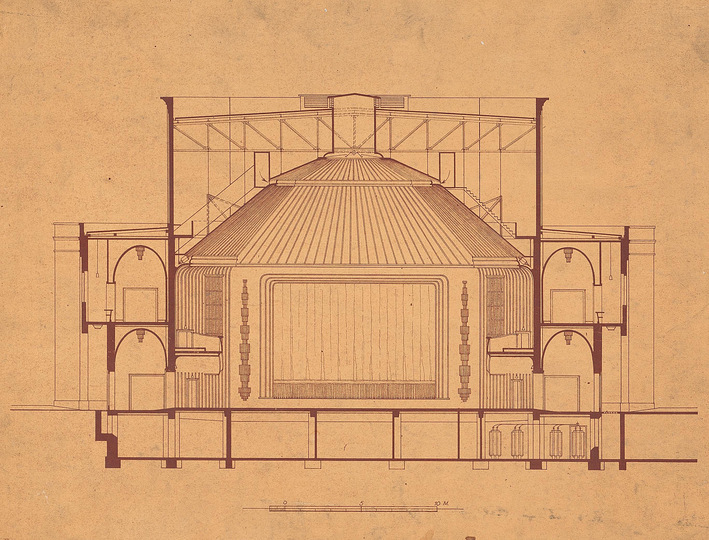 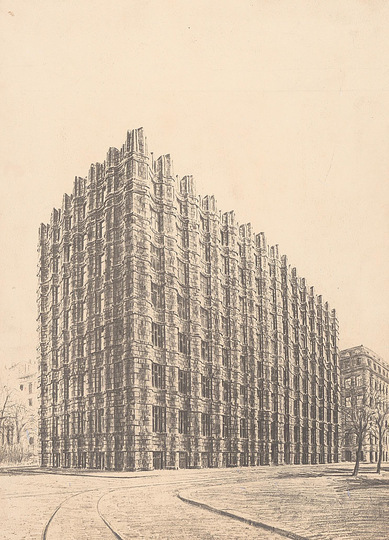 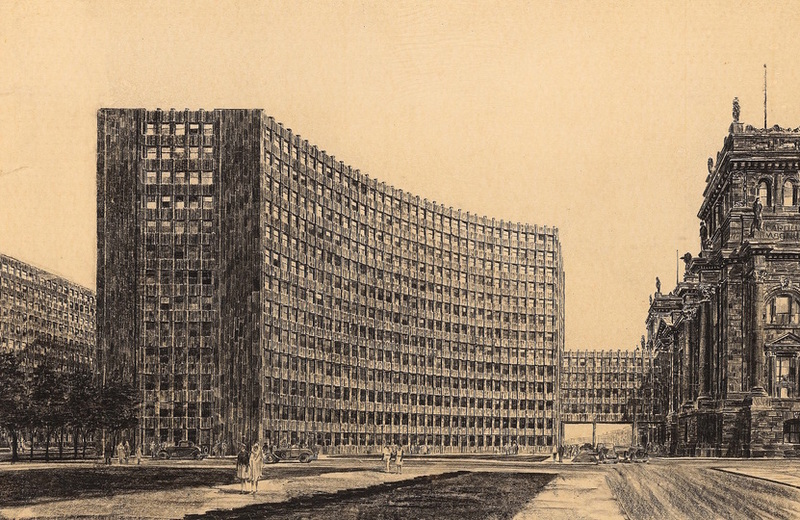 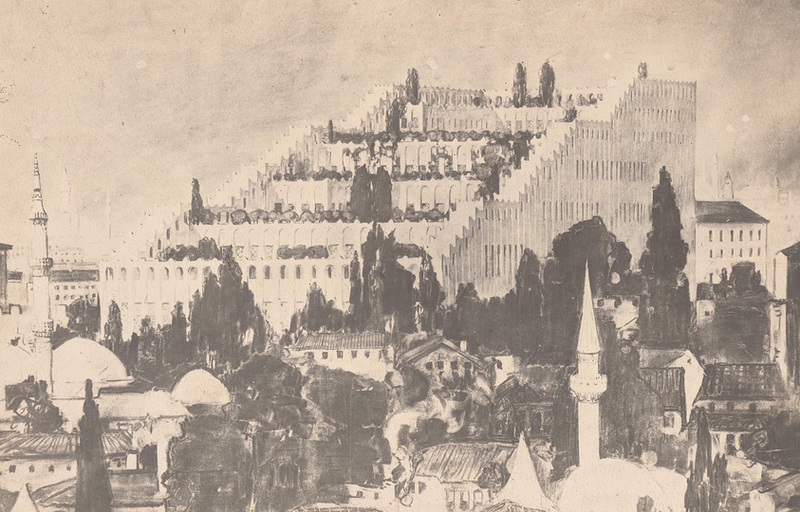 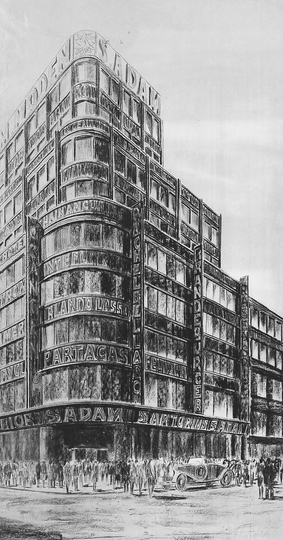 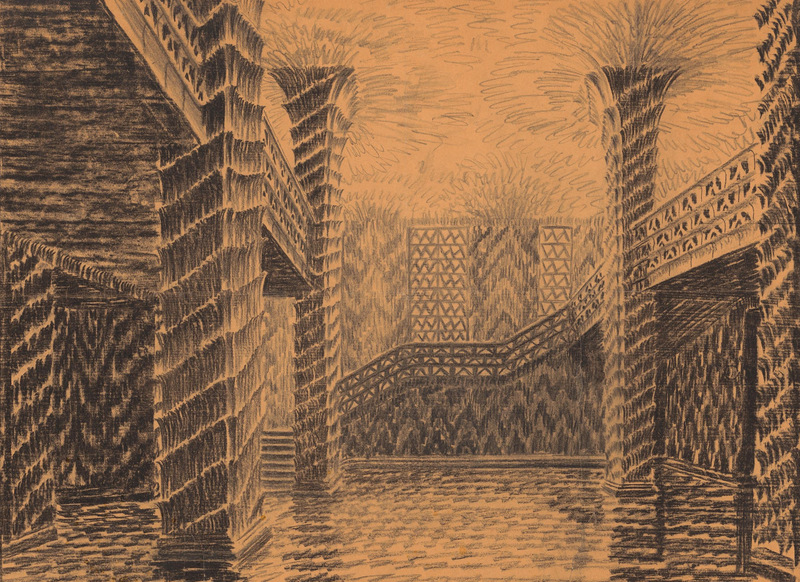 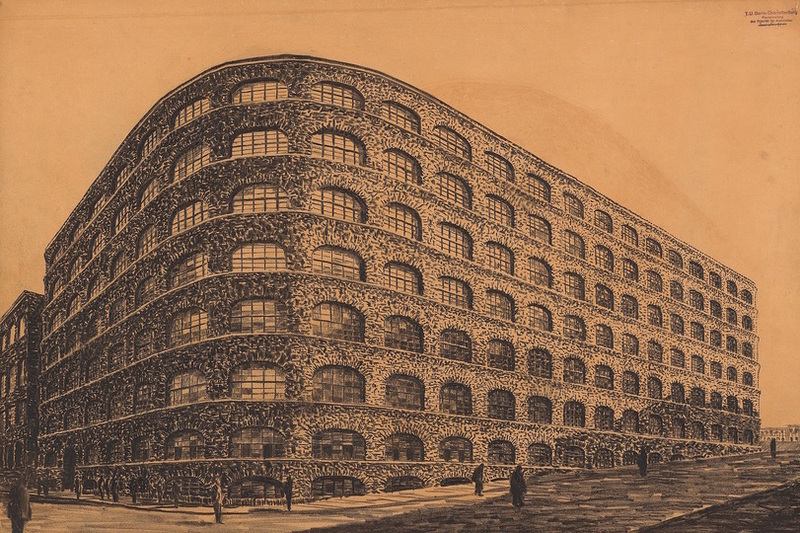 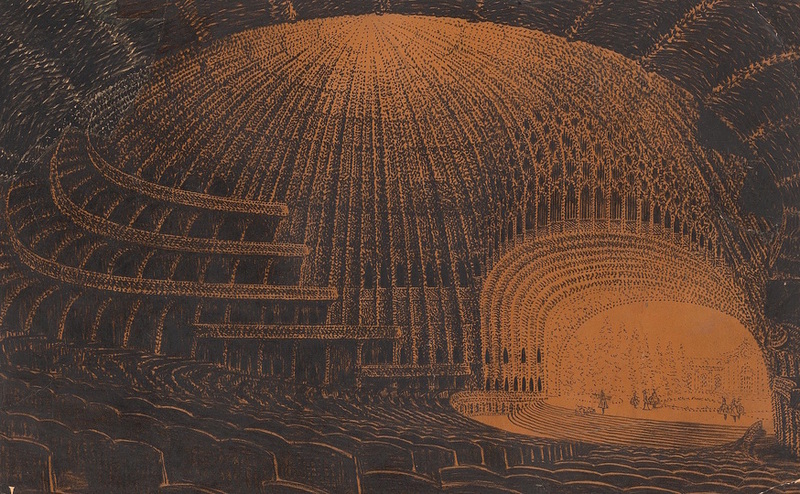 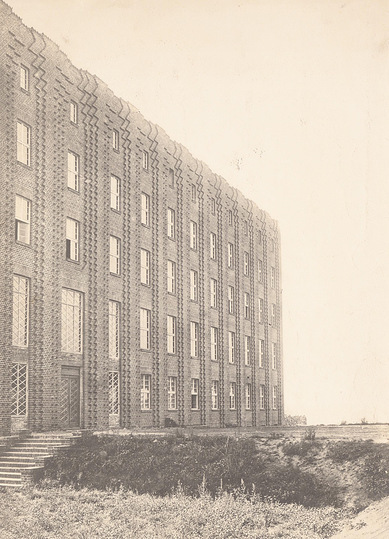 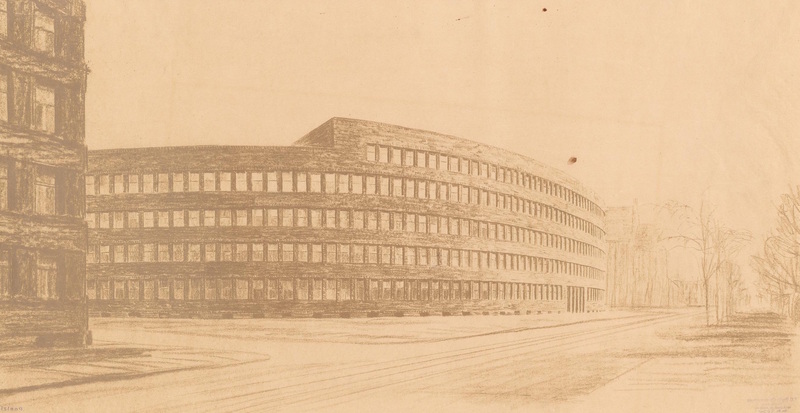 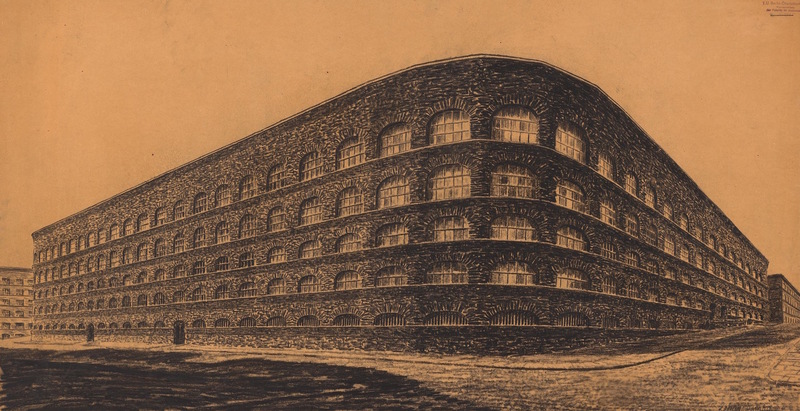 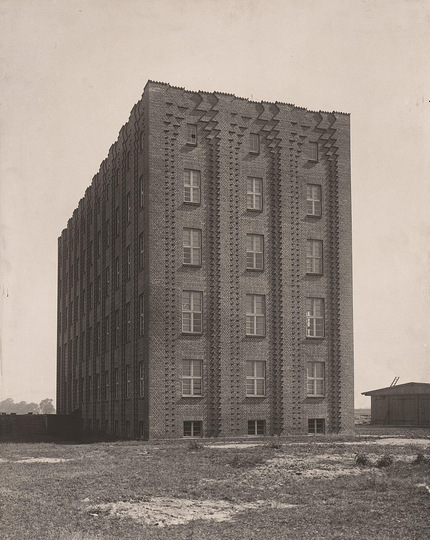 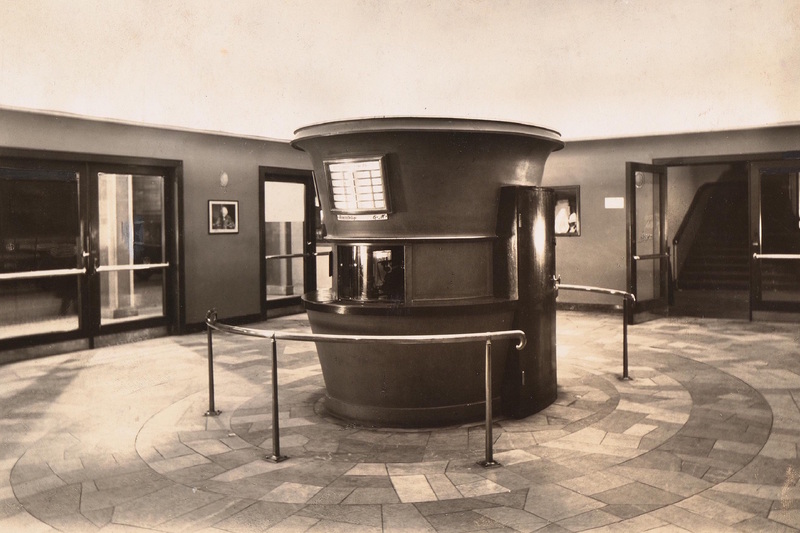 Architect Hans Poelzig (1869 – 1936) was an eclectic visionary. 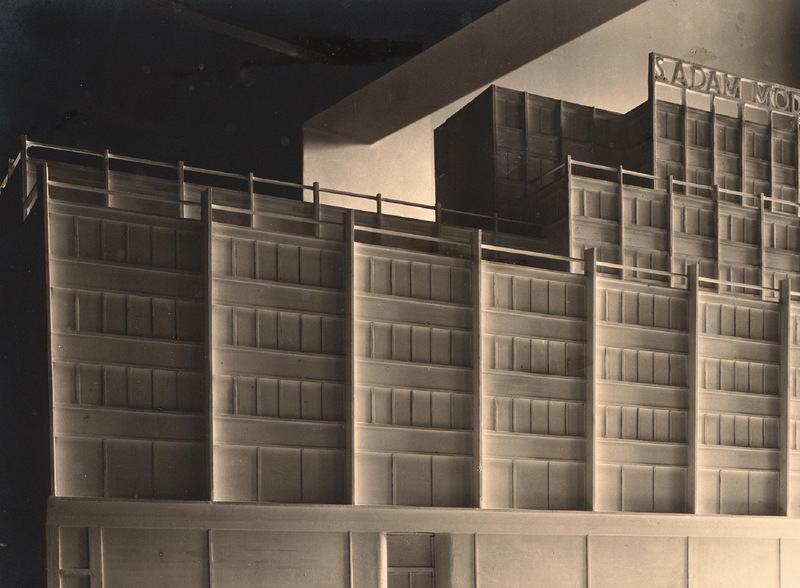 He worked with sculptural effects, weight and vibrantly structured facades, a style which differed significantly from the classical modernity of Walter Gropius or Mies van der Rohe. 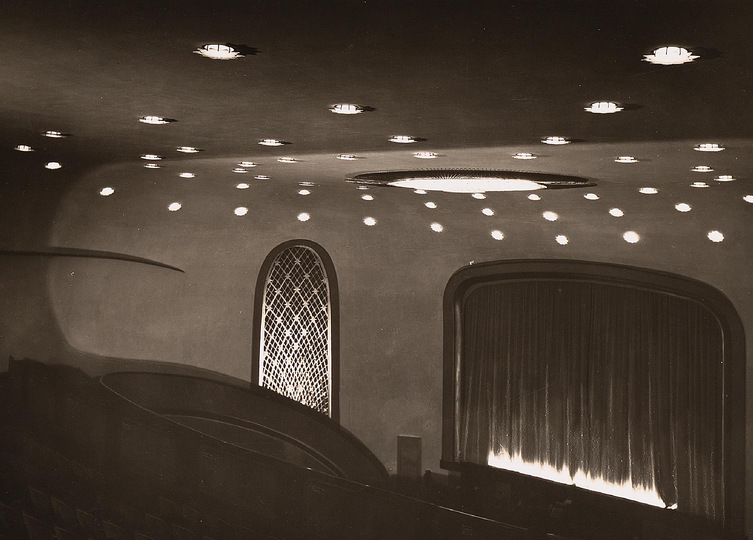 His interior for the ´Capitol Lichtspiele´ movie theatre in Berlin with its dramatic lighting effects shows strong aspects of Art Deco, his city planning designs show a penchant for the grandiose and monumental, and his designs for the Festspielhaus Salzburg or the Schauspielhaus in Berlin (nicknamed "stalactite cave") are nearly phantasmagorical in their use of finely carved and endlessly repeating detail. 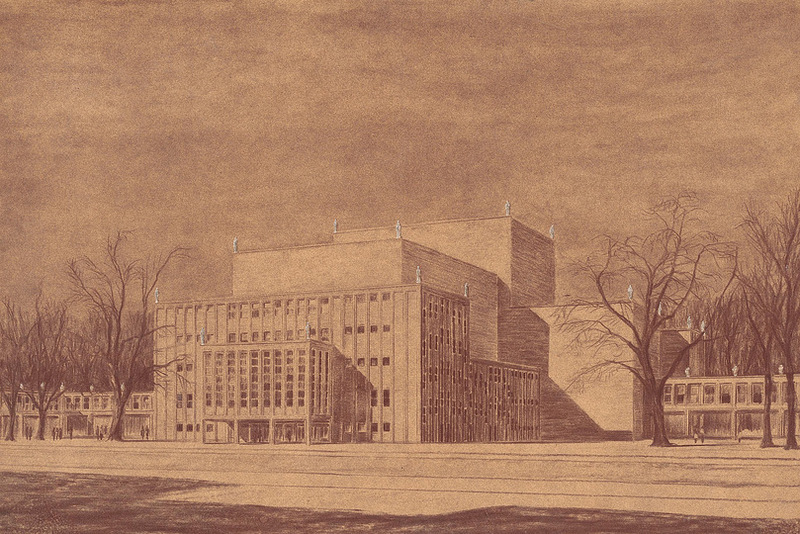 In many designs, he foretells the style of the modernists and brutalists of the sixties and seventies. 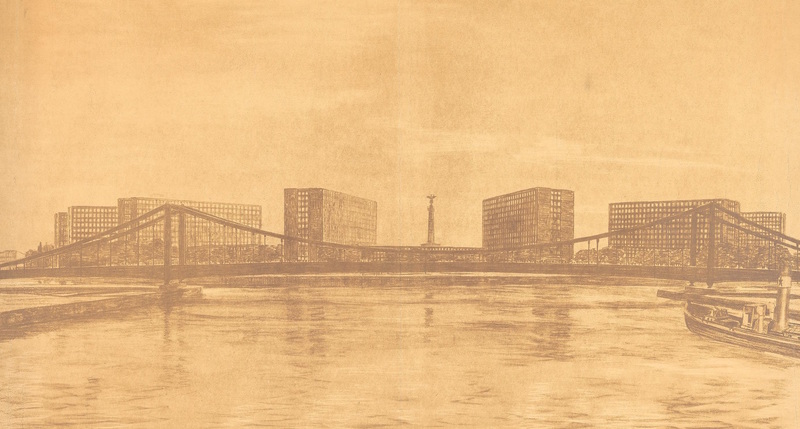 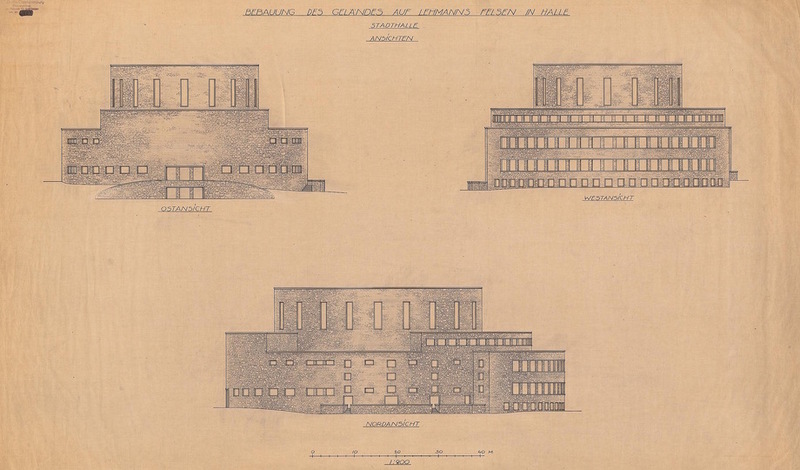 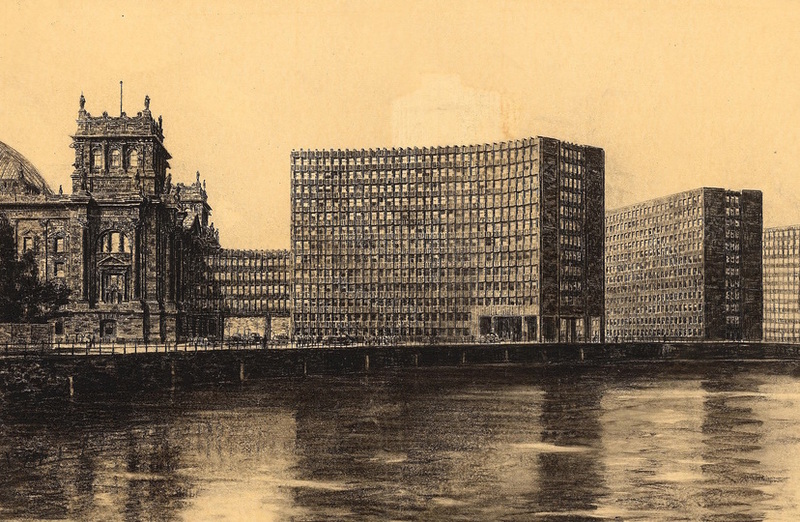 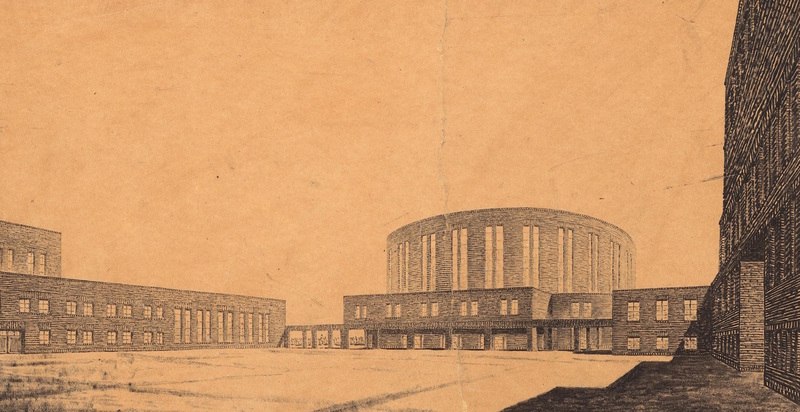 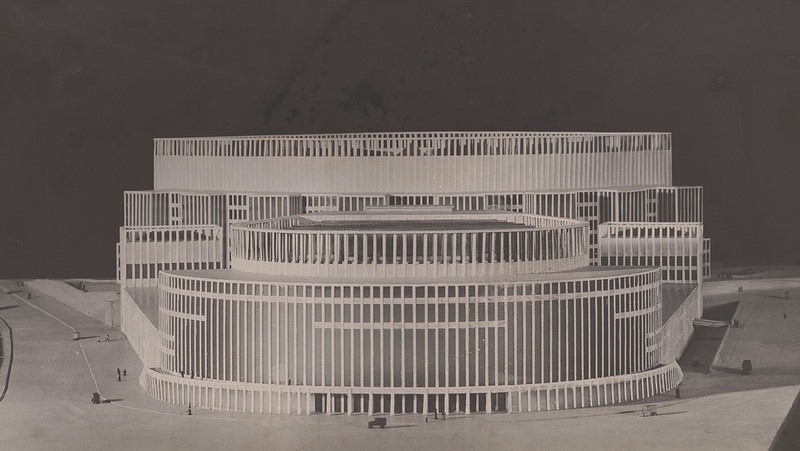 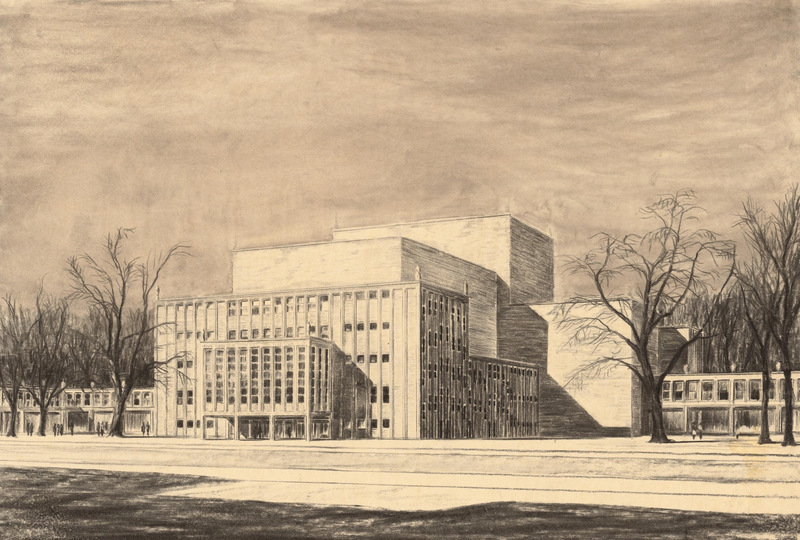 His proposal for the annex of the Berlin Reichstag and redesign of the Platz der Republik, designed in 1929, does appear like a perfect example of sixties modernism. 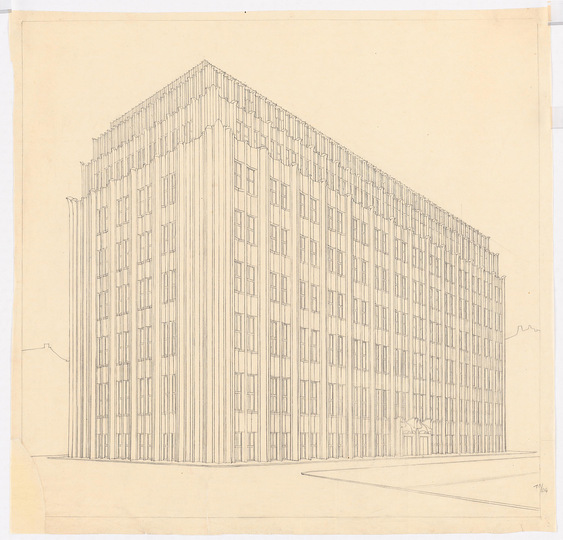 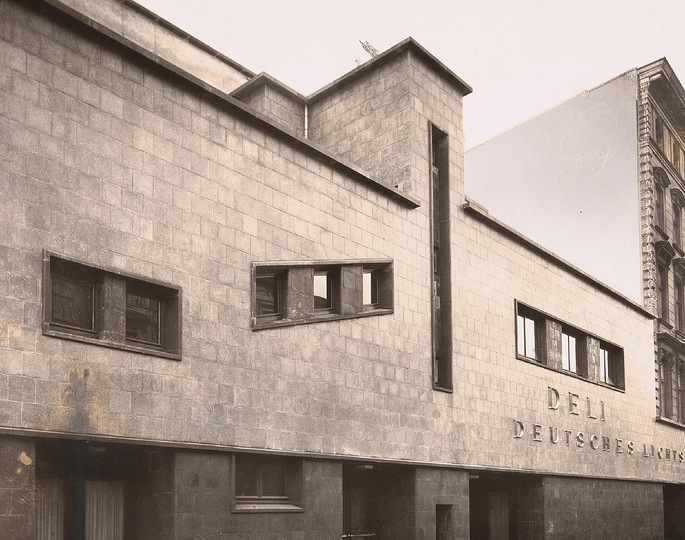 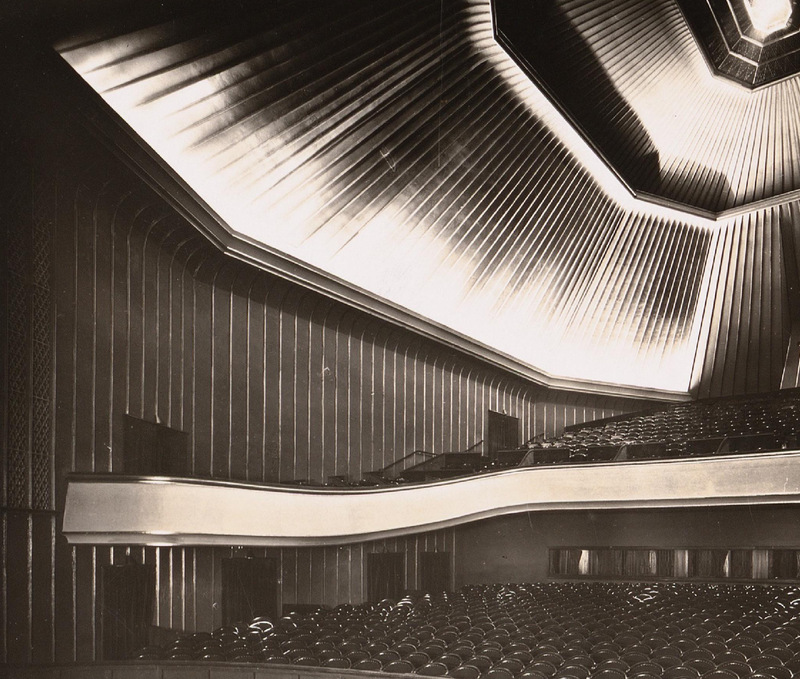 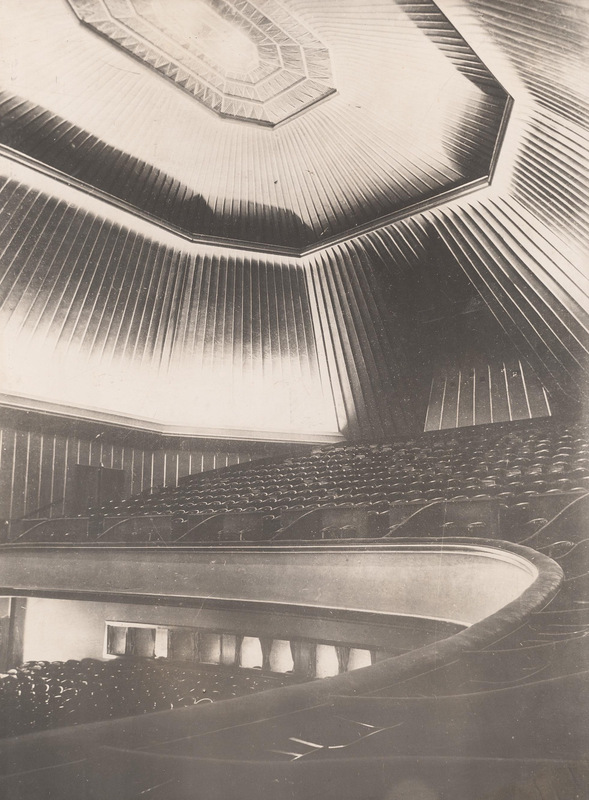 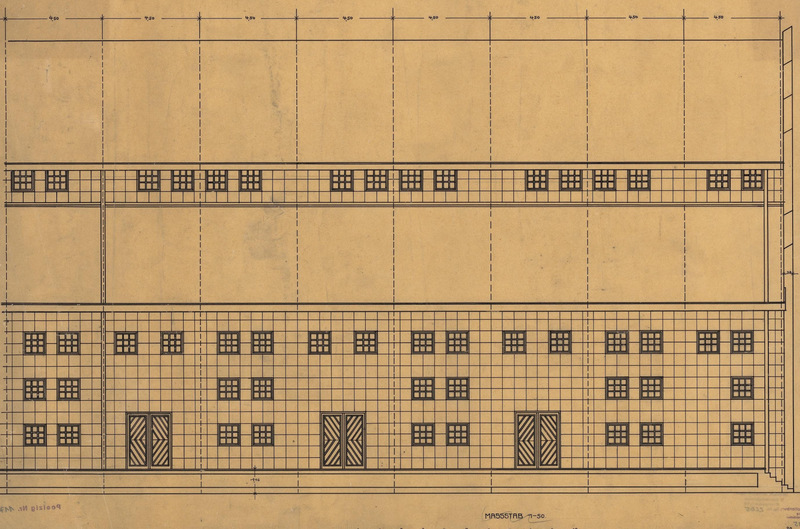 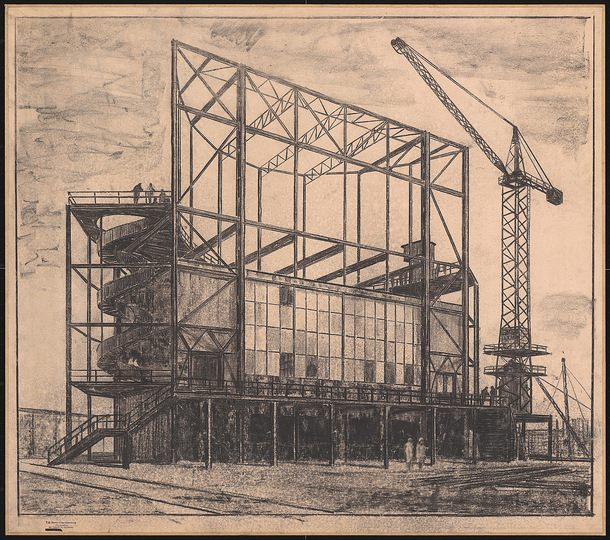 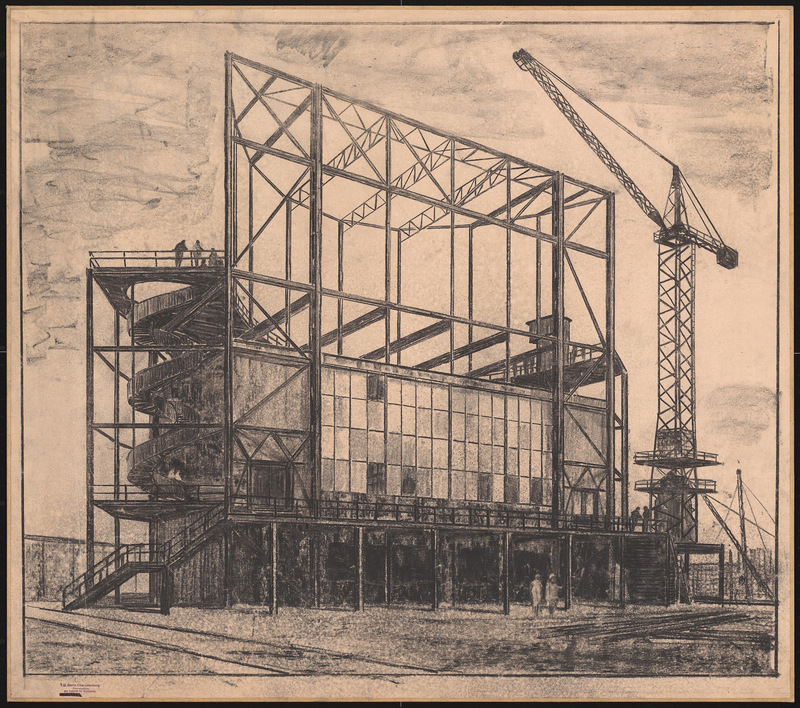 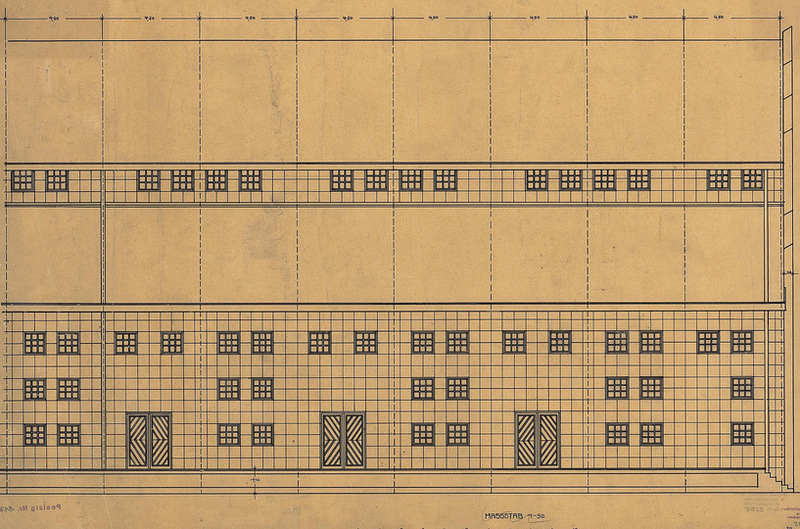 For Poelzig, architecture was an art of symbolic forms. 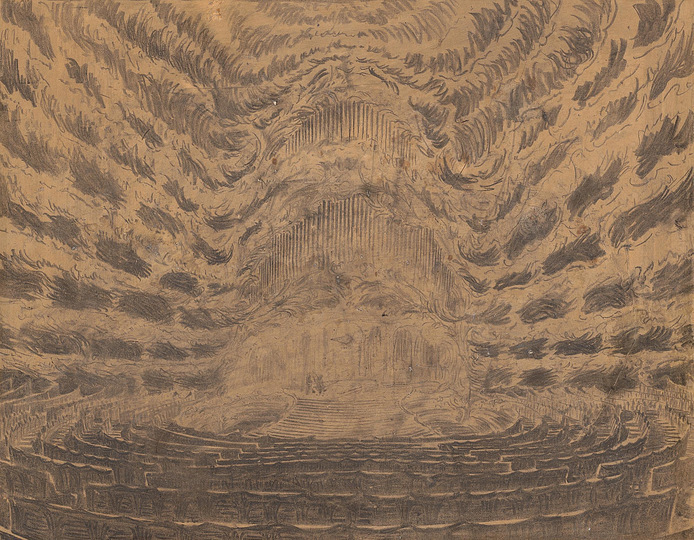 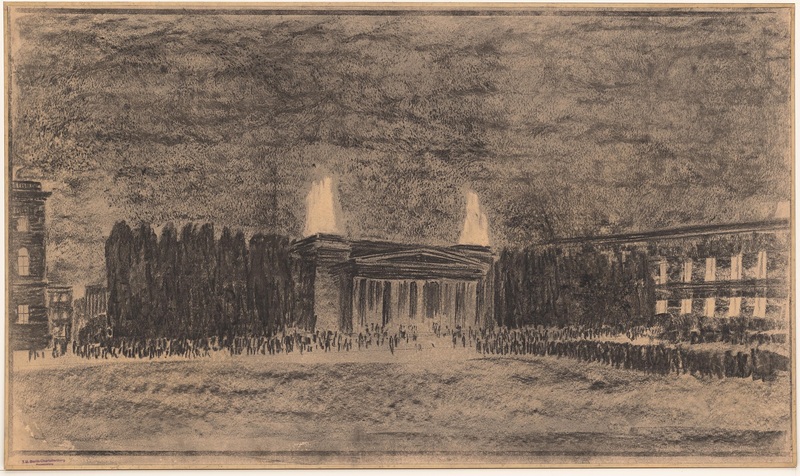 According to his belief in the idea of ´Gesamtkunstwerk´, he also designed the movie sets for German expressionist films such as ´The Golem´. 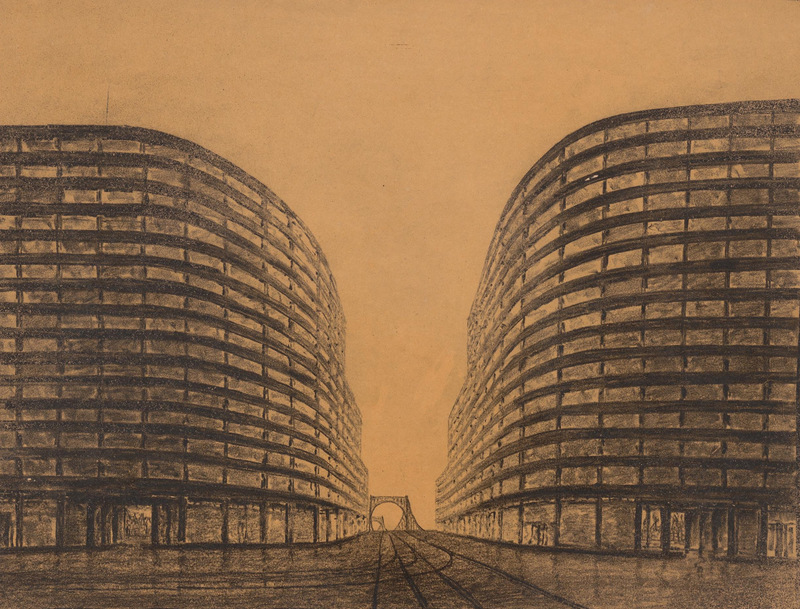 Poelzig died in 1936, just before he could emigrate to Istanbul to escape the Nazis. 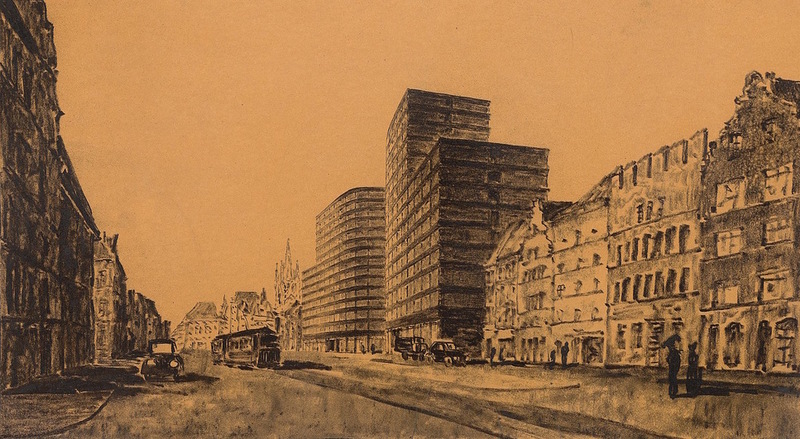 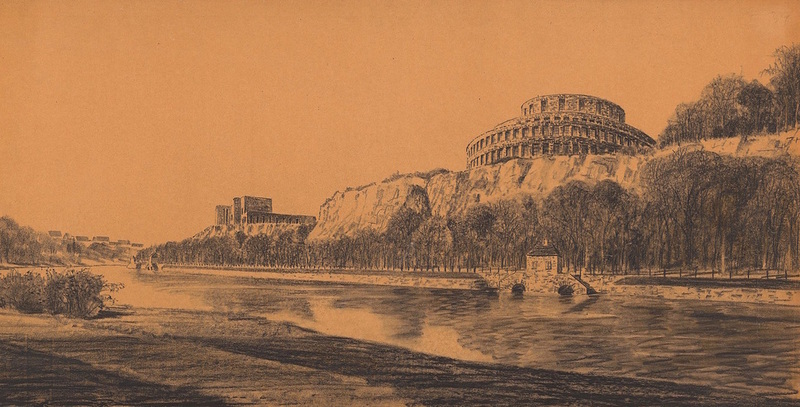 Highly regarded by his contemporaries, he was director of the Breslau arts and crafts school, city planning director in Dresden, First Chairman of Deutscher Werkbund, board member of the Federation of German architects and professor at Technical University of Berlin-Charlottenburg and Prussian Academy of Arts.